Many photographers have a ‘specialist subject’: not in the broad sense of, say, portrait or macro, but something much more specific. For example, I recently met someone who takes pictures of roofs. Personally, I have always had a soft spot for reflections (one of the best BOGOF deals you can get anywhere). Since touching down in Tranquility Base, however, I have started a new thread in my photography: roads. 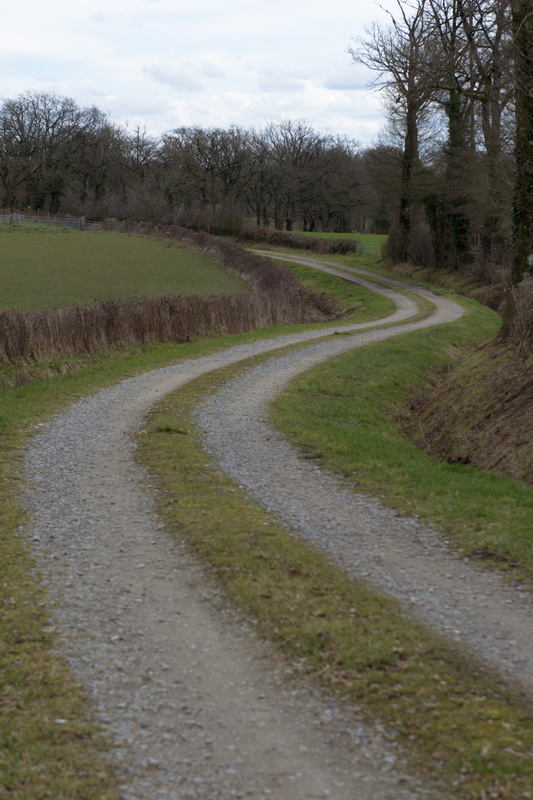 Not just any old roads – although they probably do have to be old, if you think about it – but ones that are (a) not well used and (b) disappear round a bend towards an unknown destination. Where do these roads lead? Why does nobody seem to use them? There are many such intriguing specimens within the range of a leisurely ramble from Brokedown Palace. This is hardly surprising in a rural area that has witnessed significant depopulation over the past hundred years or so. According to the statistics of the mairie, the current population of the local commune, at just under 900, is little more than half of its recorded peak, just before the First World War.